PrintAction is Canada’s only monthly magazine dedicated to the printing and imaging industry. 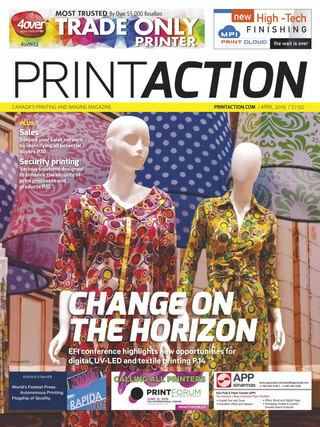 Each month PrintAction brings you the latest in industry trends, technologies and news - information critical to your business. Subscribe today or sign-up for our weekly e-newsletter.